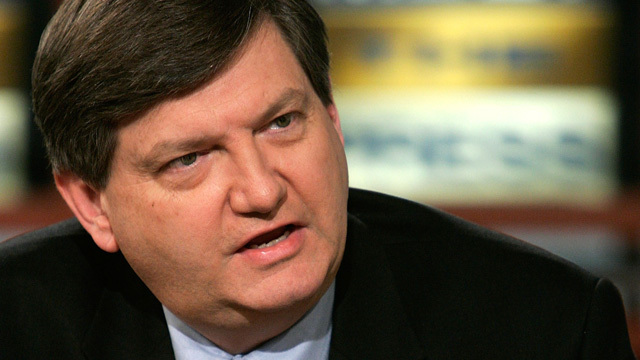 Since 2008, New York Times reporter James Risen has refused to testify in the espionage case of a former CIA official accused of leaking information, saying he has the right to protect his sources. Risen faces jail time after a federal appeals court ruled against him, and he now hopes to take his case -- and the issue of a journalist's First Amendment rights -- to the U.S. Supreme Court. The award-winning journalist has a long history of reporting on government surveillance programs, and has written two books on the CIA. Gabriel Schoenfeld, senior fellow at the Hudson Institute and author of "Necessary Secrets: National Security, the Media, and the Rule of Law"
James Risen, national security reporter for The New York Times, ordered to testify in the trial of a former CIA official accused of leaking information to him in his book, "State of War: The Secret History of the CIA and the Bush Administration"